There is no humor but I think it would only ruin the dark atmosphere that the story is trying to create. It has this horror feel to it due to the art but it’s not horror on the level of freight. It’s more of an eerie kind of feeling with mystery mixed in. 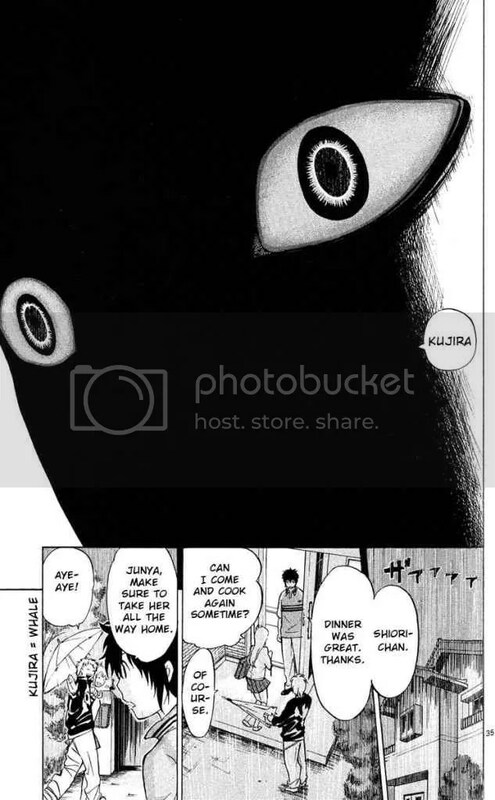 I feel that this is one of those ‘dark themed’ mangas but that’s because I haven’t read anything that’s deep. I’m more into mainstream shonen. I’m really loving the art and how creepy things could get. It’s not that creepy but the drawings are intense for me. Yes, there is probably art that’s even better than this but each person has his/her own individual taste and perceptions for what ‘good art’ is supposed to be. The art seems to be simple and yet complex when needed to draw the reader’s attention. The page above is really simple and yet it’s daunting. The situations portrayed had me wondering what I would do if something similar happened to me. There’s some focus on bullying and what the effects of it could do to a person. It had me thinking, ‘Would I be a bystander?’ ‘Would I have stopped the bullying if I witnessed one?’. The author does a good job with showing how a person who’s been badly bullied can just break down when stress from other sources begin to gather. He/she can break down and do the most unthinkable things like almost killing his/her bullies with a little bit of encouragement from an outside source. The situations are close to being realistic because I know for a fact that my friends would never help me if I ever got jumped because they don’t want to get hurt themselves. It’s easy for me to sit here and think that I would help out but it might be different when the situation actually occurs. I hope that I’ll be able to have the courage to stand up and help others. I’m horrible at this, ugh. 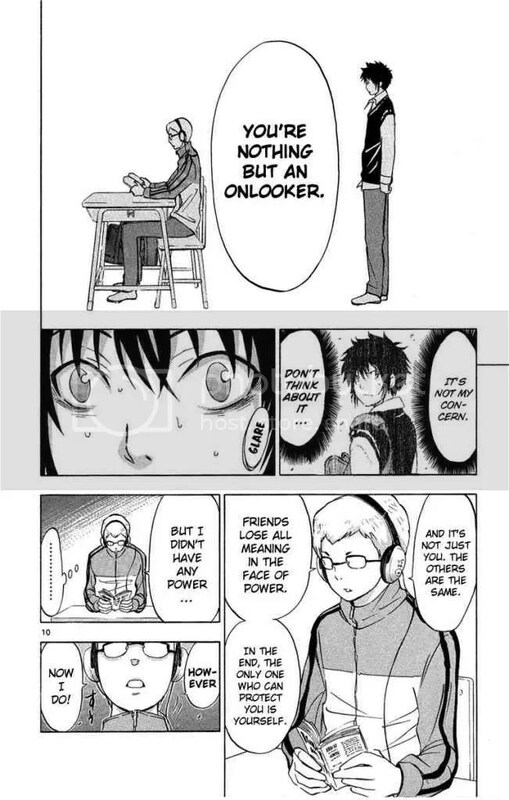 Nonetheless, I still enjoyed this manga and I’m excited for volume two because I want to find out if Inukai is a devil in disguise. There’s some deep stuff but it’s not that deep. 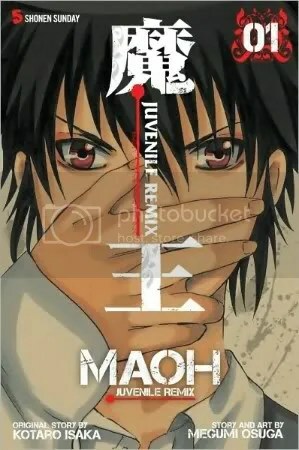 This entry was posted in Manga, Reading Right Now and tagged manga, MAOH Juvenile Remix. Bookmark the permalink.